In the month of July, spend precious bonding time with your darlings and play with food in the most Seriously Fun and Tasty way! Our Character Bento-Making Workshop sponsored by "OKOME" is the activity you are looking for! 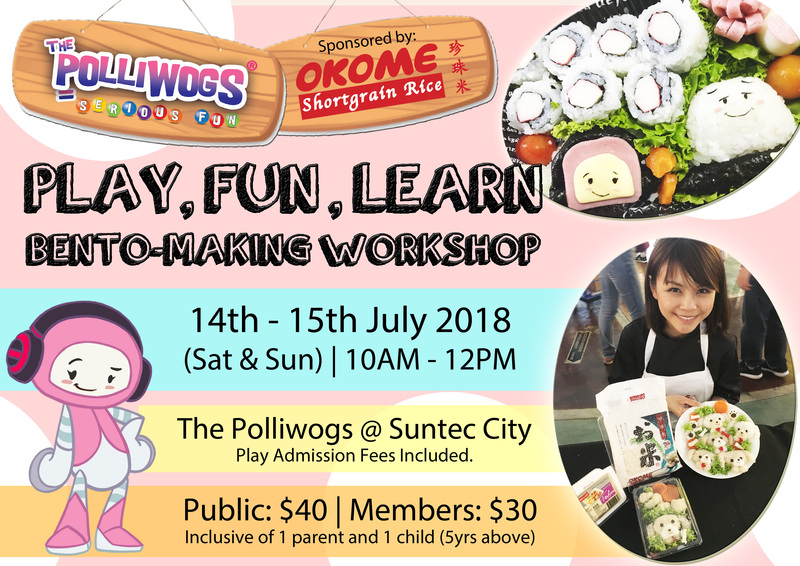 Also, enjoy UNLIMITED playtime after the workshop at The Polliwogs @ Suntec City. Limited slots are available, register your child online now!